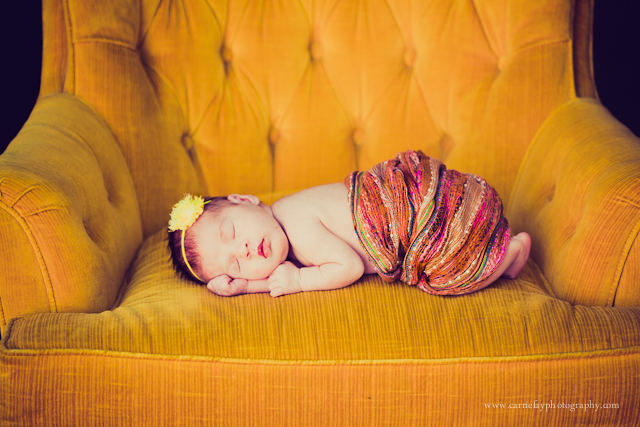 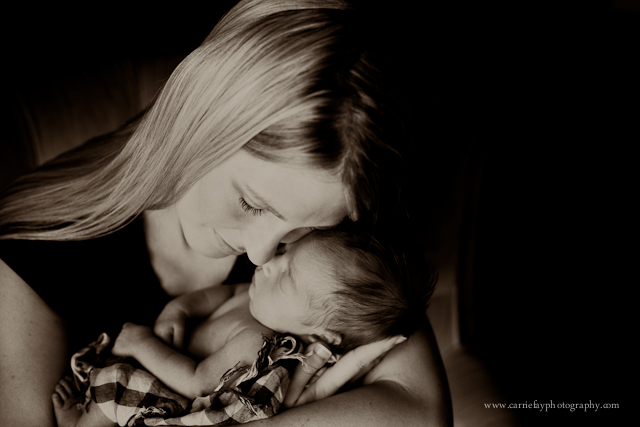 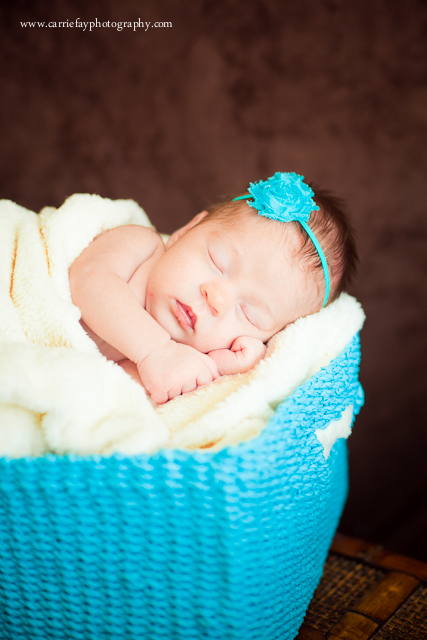 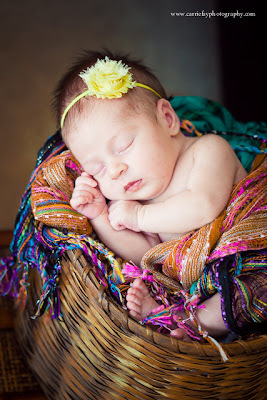 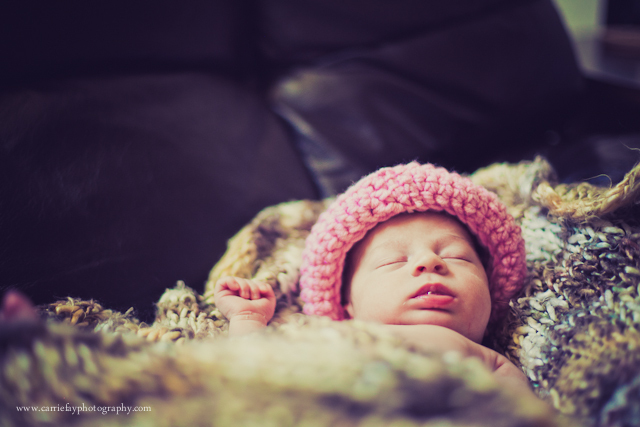 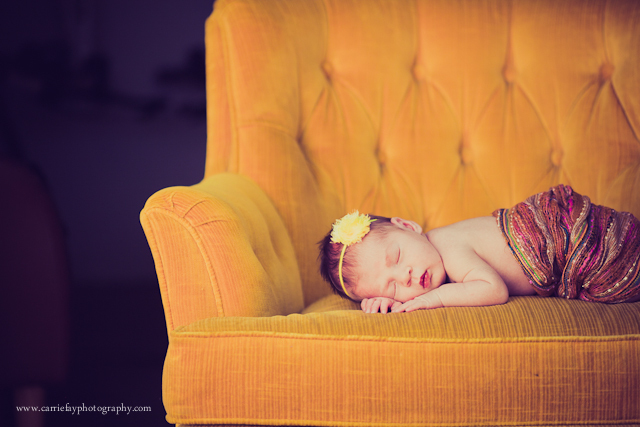 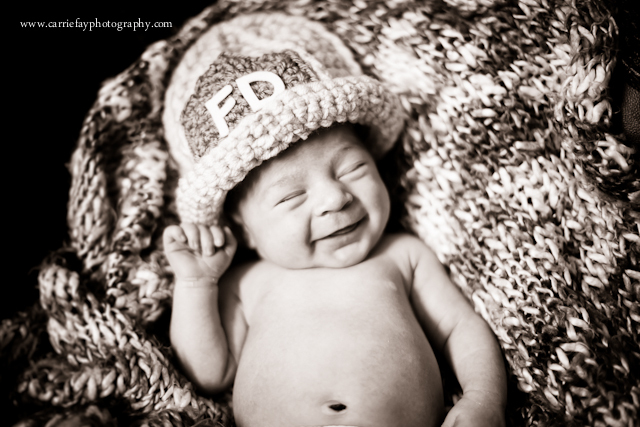 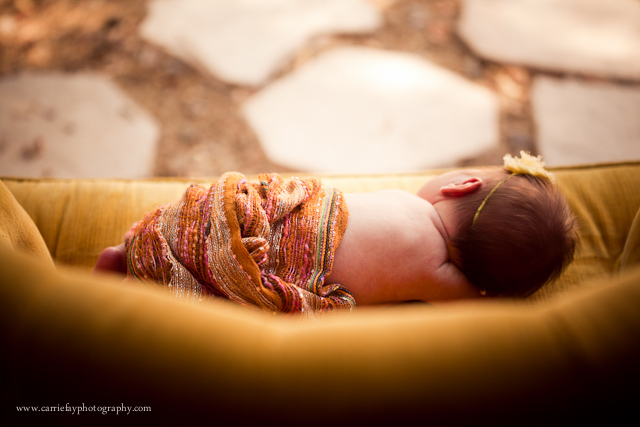 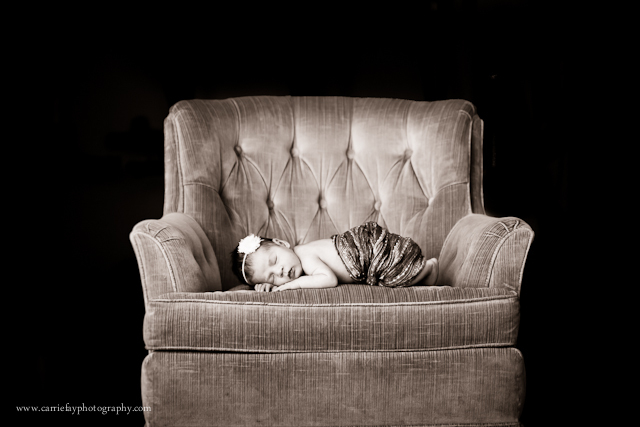 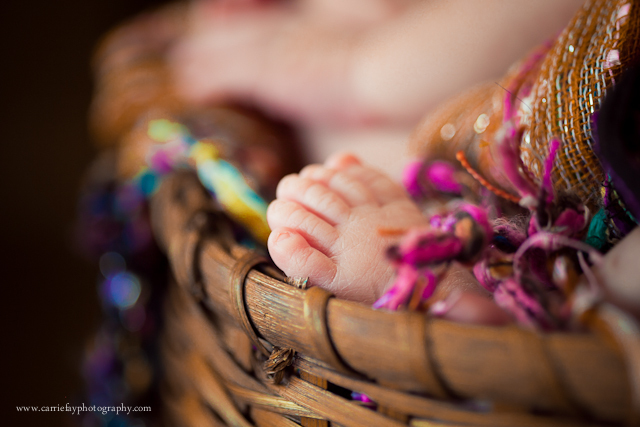 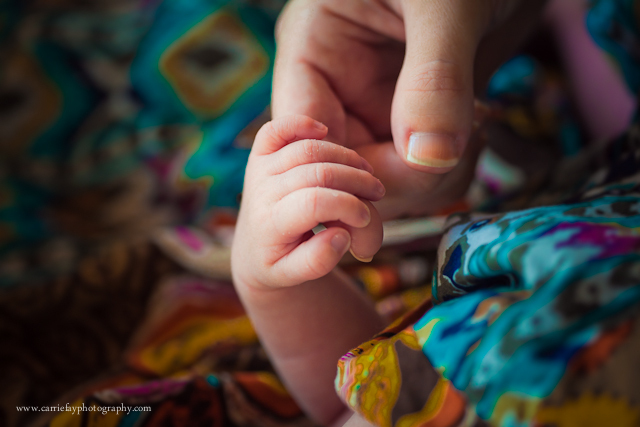 Carrie Fay Photography: Welcome, Sweet Avy! 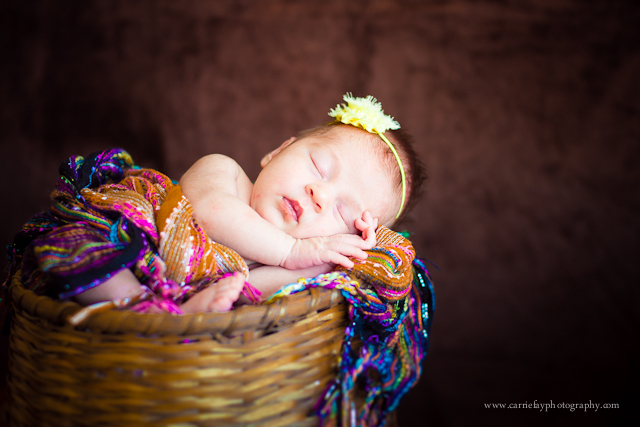 I love everything about this session. 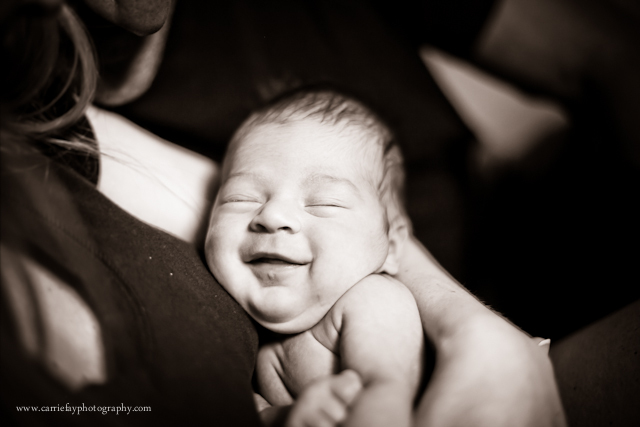 The sweet sleepy newborn baby (and the sweet sleepy smiles! 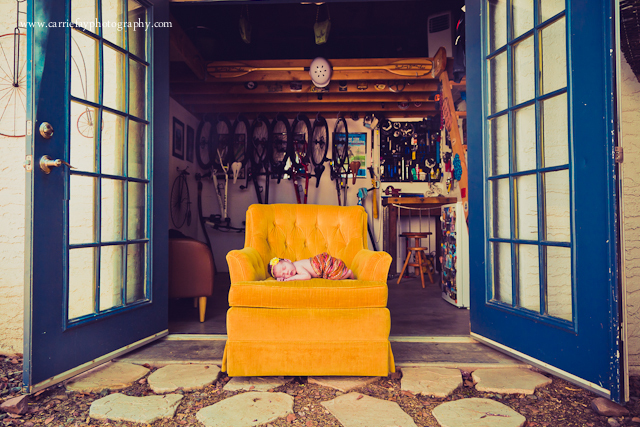 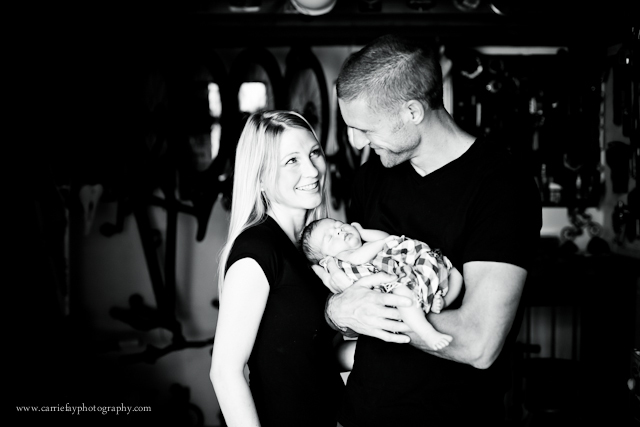 ), the family's eclectic style, the fresh textures and colors, the bike workshop out back that provided perfect lighting, the yellow chair, and did I mention the beautiful little baby girl? 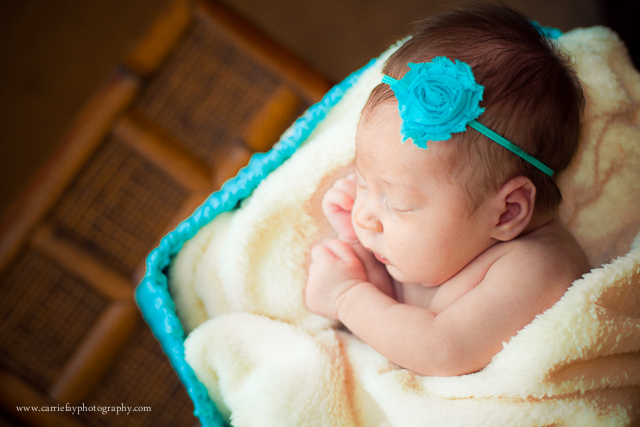 She was (seriously) a little piece of heaven. 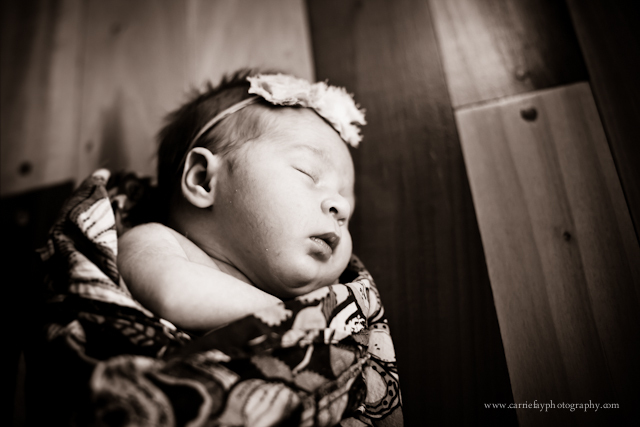 Enjoy these preview shots... and these little glimpses into the charmed life of sweet baby Avy.